Somali-born poet and essayist Ladan Osman is the author of Exiles of Eden (Coffee House Press, 2019) and The Kitchen-Dweller’s Testimony (University of Nebraska Press, 2015), winner of the Sillerman First Book Prize, and the chapbook Ordinary Heaven, which appeared in the box-set Seven New Generation African Poets (Slapering Hol Press, 2014). Her next collection Exiles of Eden, a work of poetry, photos, and experimental text, is forthcoming with Coffee House Press in 2019. Throughout her writing, Osman is concerned with the question of testimony. Whose testimony is valid? Whose testimony is worth recording? Her essay “On Not Writing” informs a provocative testament to her experiences and dual-identity. She holds a strong commitment to encouraging creative storytelling, and the documentation of it informs her practice. Osman has received fellowships from the Fine Arts Work Center, Cave Canem, and Luminarts Foundation, Michener Center for Writers Fellowship, among numerous other nominations. Her work has appeared in numerous publications and has been translated into over 10 languages. Osman’s writing and photographs have appeared in Columbia Poetry Review, Prairie Schooner, Roar, Rumpus, Transition, and Washington Square Review. She is a contributing culture editor for The Blueshift Journal. Osman currently lives in Brooklyn. Ladan Osman is a Somali born artist whose work is a lyric and exegetic response to problems of race, gender, displacement, and colonialism. She is the author of Exiles of Eden (Coffee House Press) and The Kitchen-Dweller’s Testimony (2015), winner of a Sillerman First Book Prize. Her next collection Exiles of Eden, a work of poetry, photos, and experimental text, is forthcoming with Coffee House Press in 2019. Her work has appeared in Columbia Poetry Review, Prairie Schooner, Roar, Rumpus, among others. Osman’s writing has been translated into over 10 languages. She currently lives in Brooklyn. 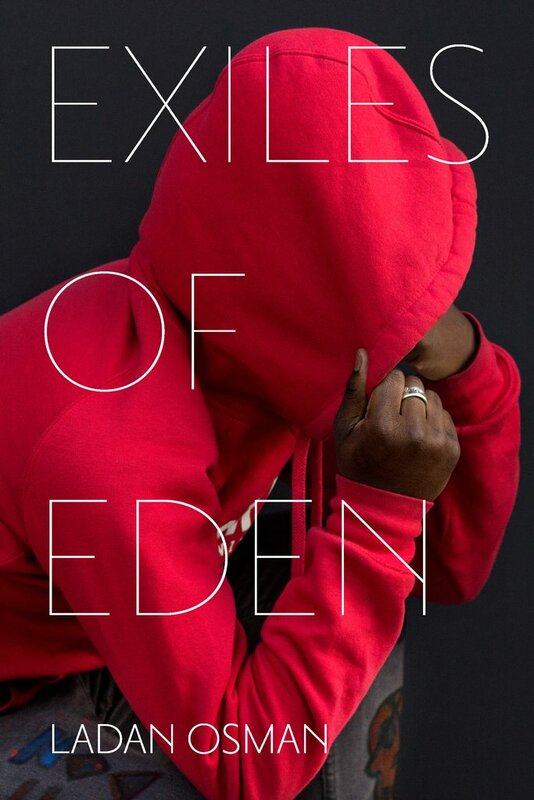 Exiles of Eden looks at the origin story of Adam, Eve, and their exile from the Garden of Eden, exploring displacement and alienation from its mythological origins to the present. Steeped in Somali narrative tradition yet formally experimental, Osman’s poems give voice to the experiences and traumas of displaced people over multiple generations. The characters in these poems encounter exile’s strangeness while processing the profoundly isolating experience of knowing that once you are sent out of Eden, you can’t go back. 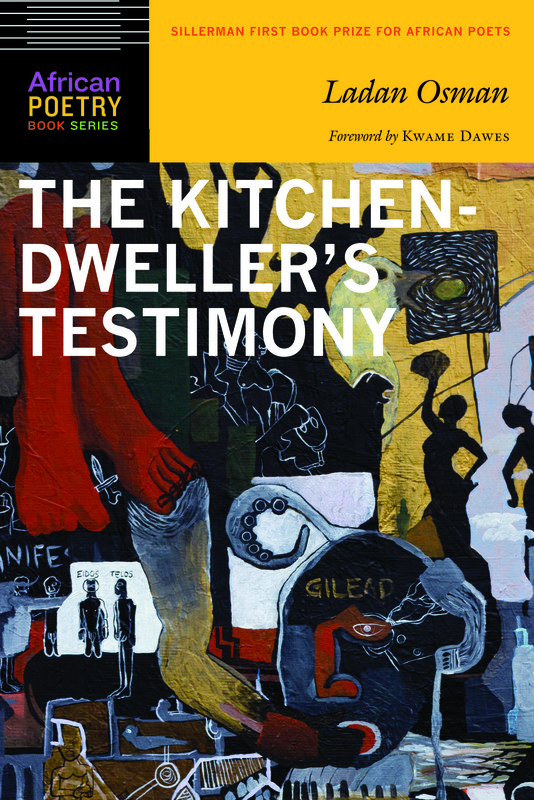 Winner of the Sillerman First Book Prize for African Poets, The Kitchen-Dweller’s Testimony asks: Whose testimony is valid? Whose testimony is worth recording? Osman’s speakers, who are almost always women, assert and reassert in an attempt to establish authority, often through persistent questioning. Specters of race, displacement, and colonialism are often present in her work, providing momentum for speakers to reach beyond their primary, apparent dimensions and better communicate. The Kitchen-Dweller’s Testimony is about love and longing, divorce, distilled desire, and all the ways we injure ourselves and one another. My father used to point out complex images: Look. It’s a metaphor. A black police officer leads a muzzled dog.// A pigeon follows the bounds of a crosswalk, rounds a corner. A pigeon takes the stairs. A pigeon sits on a bench. // A crow and a seagull face each other on a streetlight. // A spider anchors itself against thirtieth story wind and rain. These days I only have straightforward language, and my mother speaks in verse. I ask her to trade: automation for meditation. “If you are loved,” she says, “you won’t live long in this world.” My father objects. She says, “Not her. Who loves Ladan? Who loves you?” she asks. She’s just starting, one-third through her life. We don’t want the girl to stumble (this is hard to translate). “I see my mother and grandmother’s faces everywhere but not my father. Even my father’s mother. I ask: Why do I have to see the women? They are so greedy for blessings (she laughs). I want to better myself. I don’t want to die. When you die, you don’t get one hour, one minute extra, right?” Why are you telling these things to your daughter who lives alone? I tell my mother no matter what I eat, I’m still hungry. “That’s because it’s summer. Go buy some meat.” They say when you’re hungry, drink water and wait twenty minutes. A student tells me to water my feelings. Dive lightly/lightly. Another student tells me she’s careful not to drown those who swim in her waters. “I feel guilty. My mother has wanted things. To build a well. I search wells online, to build one where she grew up, where her people can still use it. Or to build a small masjid. Or an orphanage. Your aunt bought something that catches rainwater, and put carpets in a masjid.” I imagine the carpets green, the color of slaked earth. In the movie Poetry, workshop attendants recall The Most Beautiful Moment of their lives. I revived my back lawn following Texas drought. One night, nothing. The next morning, I ran outside barefoot and said: Grass! grassgrassgrass in a voice that sounded like it was pushing up through dirt all season. I feel guilty. My mother has wanted things. Nearly ten years ago, she asked me to write a poem about ablutions. I tell her I’m in Pina’s down down down place. I tell her it’s a well lined with mirrors. I tell her it will fill with light light light.